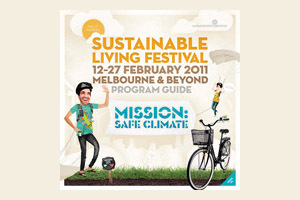 The Sustainable Living Festival in Melbourne starts next week, and what an amazing job the organisers do, of putting together a fantastic line-up of lectures and events over the two week period. Previous post: Is Expression of Feeling a Weakness? Next post: It’s Time to Buy Tickets to David Wolfe Brisbane!